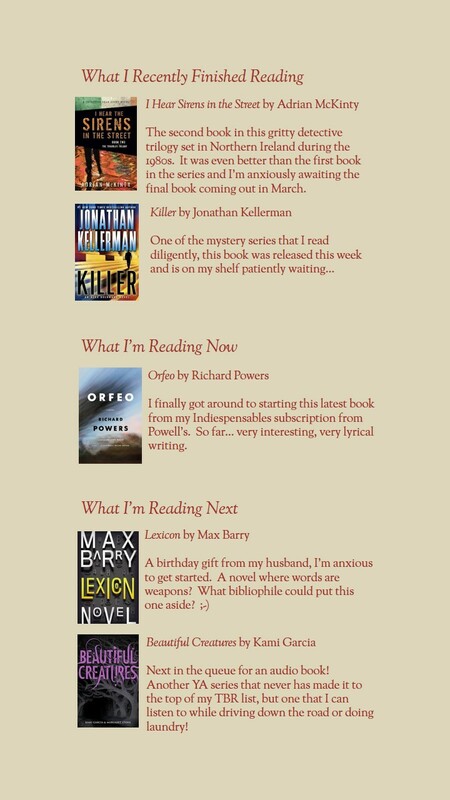 Here’s a quick look what’s new in some of my favorite mystery series! The Alex Delaware novels follow psychologist Alex Delaware as he dives into criminal minds to assist L.A. police lieutenant Milo Sturgis. 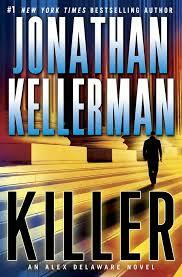 In this latest installment, Killer, Alex is called on by the courts to provide a recommendation in a custody battle. Connie Sykes is trying to take custody of her sister’s 16-month old baby but the wealthy physician turns cold and violent when she loses her case. With bodies piling up, the baby and her mother missing, Alex and Milo are in a race to find the culprits and the missing child. I always enjoy these novels, and this one was no exception. Oddly, although I like Alex Delaware, he is one of the least interesting characters for me – must be my love of quirkiness! Milo, a large, gay, gruff detective is endearing in spite of his brusqueness. And the introduction of a former child patient of Alex’s, now leading a gang in Oakland, is touching and sweet and funny and sad. The Rosato & Associates novels follow Bennie Rosato and her law offices, composed of all female attorneys, as they try to right wrongs. 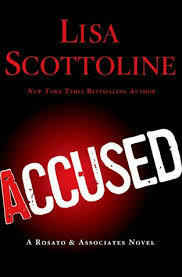 In this latest installment, Accused, Mary Dinuzio has been made a partner in the firm and her first client is Allegra, a beekeeping 13-year old obsessed with reopening the six-year old case of her sister’s murder. The killer confessed and is behind bars, but Allegra is convinced that he’s innocent. Unfortunately, her family is wealthy and powerful, convinced that Allegra has emotional and mental issues, and does not want to see the case reopened. With little support from the firm, Mary will have to go out on her own to ensure that justice has been served. All of the characters in the firm are unique and interesting, with their own distinct personalities and strengths. This novel in the series focuses mainly on Mary as she struggles with being a partner, changes in her romantic life, and her overbearing but endearing super stereotypical Italian family. I like Mary, who has an inner strength she does not recognize, and her fantastically funny family, but I missed seeing more of the other members of the firm. Still, it was a fun, fast read with enough twists and turns to keep things interesting. The Librarian Mysteries follow mid-Western librarian Karen Nash and her romantic interest, British B&B owner Caldwell. 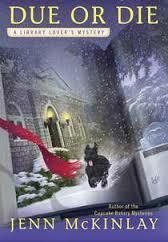 Another fun cozy mystery series that has the added benefit of being about books! 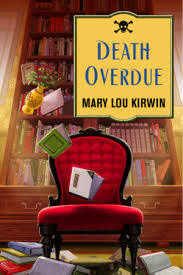 In this latest installment, Death Overdue, the victim is Caldwell’s ex-girlfriend, Sally, killed by a toppling bookshelf after announcing her intent to take half of the proceeds from the sale of the B&B. Since Karen and Caldwell are hoping to use that money to pursue their dream of opening their own bookshop, Caldwell quickly becomes the main suspect. But with Sally’s Italian lover, her fed-up sister, and an out-of-town book scout hanging around, Karen knows it has to be someone other than the new love of her life. This is a fun, quiet, cozy mystery series. Not a ton of action, but a lot of talking and drinking tea and trying to figure out whodunit. A great way to spend a wintry afternoon. 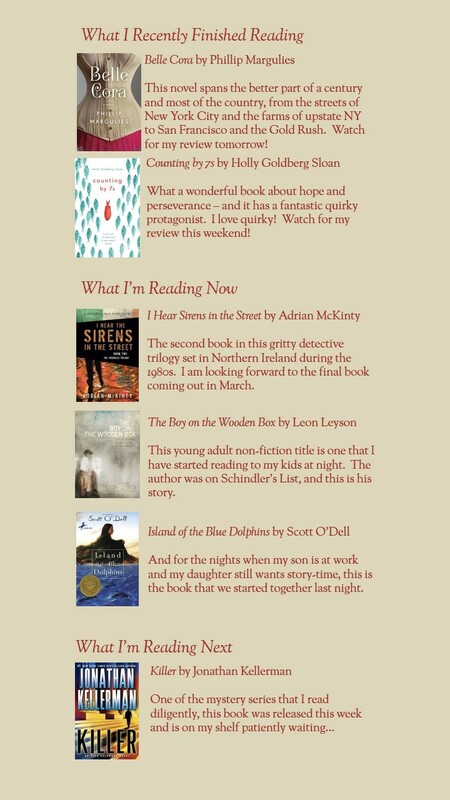 The Library Lover’s Mystery series follows Lindsey, the new director of the public library on the coast of Connecticut in Briar Creek, and of course, the murders that seem to pop-up on a regular basis there! In the second book in the series, Due or Die, cranky Bill Sint is voted out as president of the Friends of the Library, being replaced by Carrie Rushton, a forward-thinking volunteer. When she comes home from the election to find her husband shot dead in his recliner, she quickly becomes the main suspect. 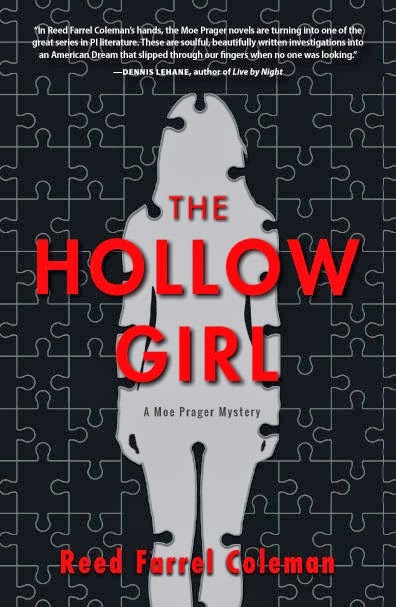 And as a nor’easter paralyzes the town, Lindsey and her friends will have to figure out whodunit while the local police force focuses on digging out. Like the previous book in this series, there are plenty of great characters including a mentally unstable woman who wants to see Bill Sint reinstated as president, Bill’s charming nephew who is pursuing Lindsey, the cranky librarian, the charter boat captain who seems to have a crush on Lindsey, and all of Lindsey’s friends and neighbors. These characters and their interactions and relationships make this a thoroughly enjoyable series. I also love all of the library scenes – the programming, the patrons, the politics – they all feel so familiar on some level!